As announced by news release, the opening day of our brand new serviced apartment " BUREAU SUITENGU " is approaching. 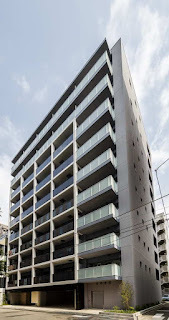 BUREAU SUITENGU is located right next to B-SITE Nihombashi Hakozaki. Great access to T-CAT as well as Ningyocho-area which is full of good restaurants and shops. We went to the viewing before the grand open.